BOOK A DEMO HERE And if it doesn’t amaze, we’ll give you a free gift pack! Trimax high quality golf course mowers are used on prestigious golf courses around the world, including the Golf Club of Georgia and Golf Club of Houston - home of the Shell Houston Open. 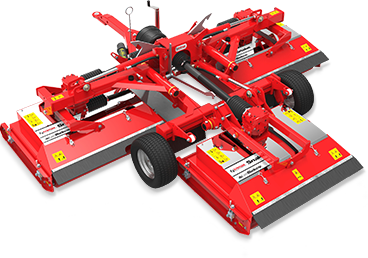 Our golf course mowers are known for their low maintenance requirements and high quality of cut and spread for golf fairways and roughs in all weather conditions. 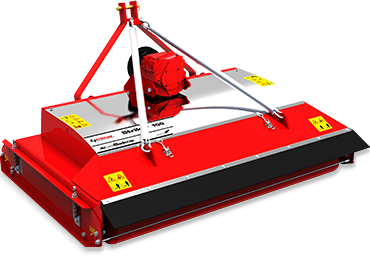 Trimax Golf Mowers are commonly replacing cylinder mowers due to our unique design and patented Lazerblade™ system ensuring a fraction of the maintenance costs and a much higher up-time. 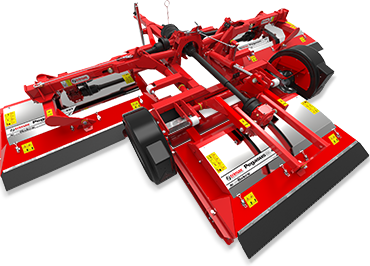 The double roller design means less scalping and greater undulating capability. Our golf mowers are used in roughs, surrounds and even on golf course fairways where versatility is needed. For more information download our catalog, or request a free demo of a Trimax golf course mower today. The Trimax ProCut S4™ has been engineered to withstand use in the toughest commercial environments. One of the best sports mowers on the market. Minimum tractor requirement 35hp.